It has been an exciting June so far at Grape Escapes, and we have been super busy; you all seem to be summer ready and are eager to get away on one of our wine tours! 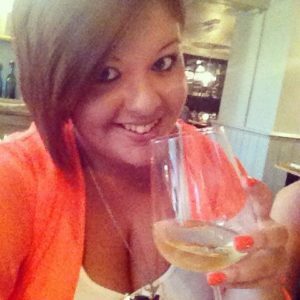 This month, Grape Escapes has welcomed me (Rachel!) into the team and I am now settling into the role, assisting Jenna and Mark with all enquiries. I come from a travel background, having lived and worked abroad, largely in Spain, for the past four years and welcome the opportunity to bring my experience and passion for travel into my position with Grape Escapes! At the weekends you can normally find me enjoying a refreshing glass or two of Chenin Blanc, perhaps those of you travelling in the Loire Valley this week could raise a glass to me? It has been a pleasure to already have been speaking with some of you and assisting with your bookings and I look forward to continuing to put together some fabulous breaks for many of you in the future. To celebrate my arrival, I have a sensational offer on our Premium Champagne Tour this August to share with you! See below for details on this fabulous deal along with some information about our brilliant multi-region breaks. This August bank holiday, we will be running our Premium Champagne Tour, staying in the city of Reims, an ideal base for a weekend spent gaining a fascinating insight into the world of Champagne production – with lots of tastings along the way! Premium tours are of the highest standard; with typical group sizes of eight to twelve people, designed to provide a more social, yet intimate atmosphere on the tour. We arrange for one of our English-speaking local guides to accompany you on the tour, and by working with locals, we find that they add a personal touch to each tour, with their own anecdotes from their home region. You will be treated to tours and tastings at the prestigious Veuve Clicquot, as well as Champagne Taittinger. As VIP guests at Taittinger, the group will enjoy a private tour of the cellars where you will be honoured to taste their Prestige Cuvée – les Comtes de Champagne Blanc de Blancs. And if that wasn’t enough excitement for you, during the tour you will also head to a delightful small family-run Champagne House and here you will discover how Champagne is made, from press to bottle, giving you the opportunity to see the whole Champagne making process first-hand. Book the Friday 28th to Sunday 30th August tour and enjoy a third night’s bed and breakfast free of charge at the 4* Hotel de la Paixand take full advantage of the Bank Holiday weekend (Thursday arrival is possible if preferred). This is one of our most popular hotels in Reims- modern and elegant, it benefits from a perfectly central location and the hotel itself has excellent facilities including a swimming pool, sauna and Champagne bar. 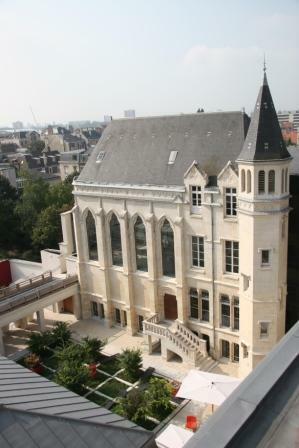 The Premium tour prices at the Hotel de Paix start at£478 per person. On top of this fabulous extra night deal, if you secure your booking by the end of the month, you will also benefit from our £35 early bird booking discount! For further information about our Premium Champagne tour or to book your places, please visit our Premium Tour page, give us a call on +44 (0) 1920 46 86 66 or send us an e-mail at info@grapeescapes.net. 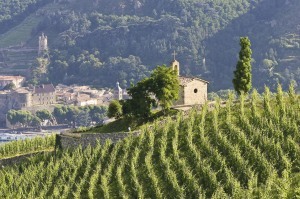 Multi-region breaks: When one wine region just isn’t enough! The majority of our packages are three or four days in duration, however we have found that a large number of our guests, particularly those arriving from outside of Europe, would like to visit more than one region on a single holiday. I am sure that you will agree that discovering a larger number of destinations and tasting a wider variety of wines across one single trip sounds perfect to us! 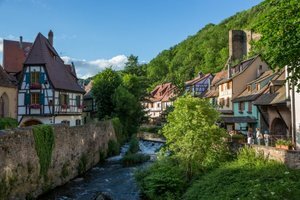 The team at Grape Escapes have travelled extensively in Europe, not just in the wine regions and can therefore recommend and arrange tailor-made tour extensions to other regions and cities, for example Paris in France or Bilbao in Spain. Our three and four day tours (in particular our Essential and Exclusive breaks) can easily be combined for a longer trip, however to provide inspiration, we have put together a number of Multi-Region breaks to regions that marry together perfectly, both oenologically and logistically! Travel between destinations by rail or hire car will always be included. 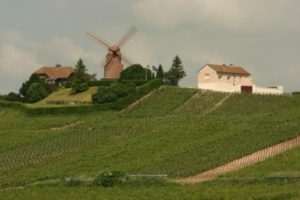 Our multi-region itineraries include a classicseven day tour encompassing Champagne, Bordeaux and Burgundy and our 16 day Ultimate French Wine Tour– a “must” for any French wine lover! As always, please free to pick up the phone and speak to a member of our specialist sales team on +44 (0) 1920 46 86 66, who would be delighted to talk you through the perfect multi-region package. We are of course also available by e-mail atinfo@grapeescapes.net and you will find full information about Multi-Region Holidays on our Multi-Region tour page.